With the trend of American style brunch (which the Nescafè company has so diligently marketed), there is an entire new population of young Sunday shoppers roaming around. 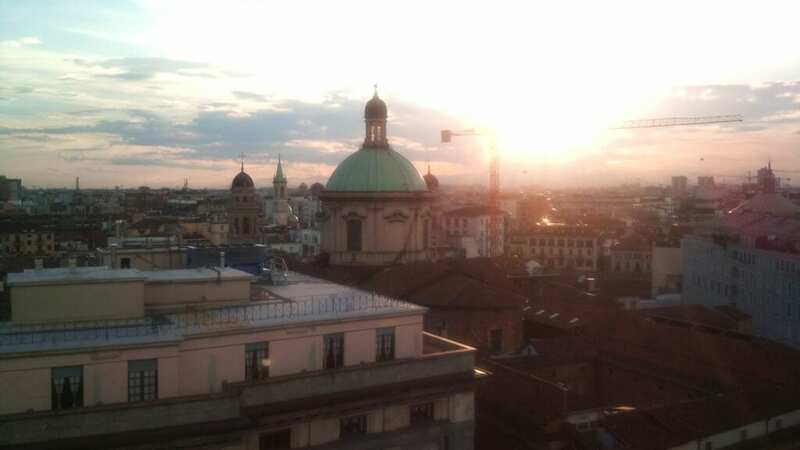 Find out what you can do on a lazy Sunday morning in Milan. A cappuccino at your local bar- meet friends for Brunch in Brera or all’Isola – go window-shopping in local boutiques or visit some art galleries – head down to Piazza Duomo and cut through the Galleria Vittorio Emanuele II and go to via Torino for more window shopping and to Fnac Milano Via della Palla, 2, for some glossy fashion magazines. Later on you can hang out in the center and catch a movie, or why not walk down to the Naviglio to check out second-hand and vintage shops or the monthly antique market and find a cute outdoor cafè and end your day with a refreshing appertivo. To find some of the greatest buys, the last Sunday every month, antique market at the Naviglio Grande is one of the best ways to spend a lazy Sunday afternoon. You’ll find everything from antique furniture to collector items such as costume jewelry, records, books and stamps. The Golden Quadrilateral – il Quadrilatero d’Oro -the infamous rectangle of Milan’s luxury shopping district via Montenapoleone, via Borgospesso, via Della Spiga, and via Sant’ Andrea, most, (not all) shops are open on Sunday. Even if you are not a luxury shopper, it is fabulous looking at the creative window displays! La Feltrinelli International – International Bookstore wholly dedicated to books in foreign languages (English, French, Spanish, German, Russia and so on) and they have a decent section on travel (with lots of books and maps on MILAN). Most Sundays there is a UEFA or Champions League football match at San Siro Stadium . Milan has beautiful parks for a Sunday picnic. Go to Parco Sempione, Sforzesco Castle or I Giardini Pubblici. Parco Forlanini is a bit outside the center (on the way to the Linate airport) perfect for frisbee, friendly football or park games. Parco Nord is the largest park in Milan with a park, forest area, and sports facilities. No matter what your perfect Sunday is like, Milan has a variety of places and things to do on Sunday.